Since it's deployment on the 7th of August 2014 E35 has successfully completed six months of continuous deployment in Sanda Sound. 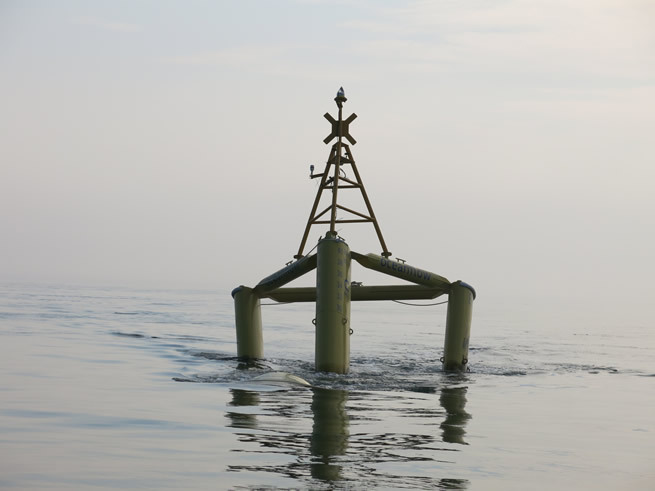 The trials have demonstrated Evopod's low motions and survivability characteristics in the moderately fast flowing (4 to 5 knots) tidal site, which in the winter months is also exposed to a harsh wave environment from the Atlantic and Irish Sea. The floating platform's streamline surface piercing struts and turret mooring ensure that the device always faces into the flow whatever the wave direction while the small waterplane area of the struts and the device's deeply submerged tubular hull ensure that the buoy has very low motions compared to more conventional surface floating platforms or buoys. The unit rode out a particularly severe "weather bomb" storm in December which combined spring tides with record breaking wind speeds and wave heights which led to shipping being constrained to port and the downing of power lines. "We are extremely pleased with E35's performance in harsh sea conditions over the winter. The device's low motions and survivability in the roughest of seas fully validated Oceanflow's decision to develop semi-submerged platform technology for its Evopod tidal turbine. 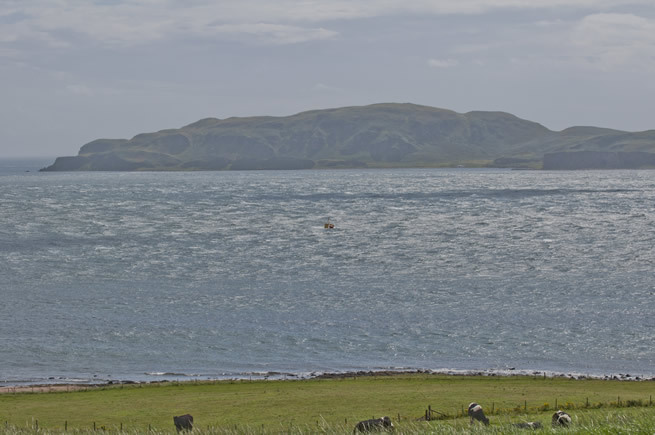 Previous trials were in the sheltered waters of Strangford Narrows but this deployment of a 5 times larger device in the much more exposed Sanda Sound has proven Evopod's capability to work in the harshest environments". The E35-01 unit in Sanda Sound is fitted with a 35kW rated generator driven by a 4.5m diameter turbine. The E35 unit in Sanda Sound will be exporting electricity into the grid later in 2015 via an umbilical and subsea cable connection. The umbilical and seabed power cable also transmit data to the company's onshore control and monitoring container which is sited 0.75 nautical miles from the device's moored location.